Ang Chin Moh Foundation together with Lien Foundation in partnership with the world’s largest funeral service association, the National Funeral Directors Association (NFDA) and designboom, an international digital platform for design and architecture organised the first global competition to redesign and reimagine the future of death care. Designers worldwide were invited to submit designs for caskets, urns, columbaria, cemeteries or funeral parlours. Through the Design for Death competition, the common stereotypes and misconceptions of death are challenged, and new perspectives towards death are forged as we understand our own. The response was overwhelming and we received 2,050 entries from 96 different countries. Two entries from Singapore made it into the final round. As strategic thinkers convinced of the constant need for innovation to uplift the standards of the funeral profession and end-of-life care, the designs were subsequently shared with the Housing Development Board (HDB) and the Urban Redevelopment Authority (URA) so that it could form the basis for a strategic rethinking on the part of the public service, and providing a different perspective and the many possibilities on better managing the use of land for the living and the dead in land-scarce Singapore. 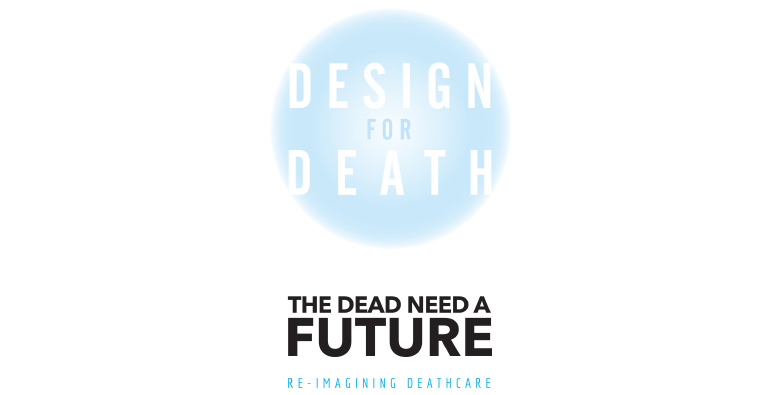 We were heartened to know that the Design for Death competition raised much interest within Institutes of Higher Learning and the wider society to further comprehend explore the topic of death and dying through a design perspective. In October 2016, over the period of a month, a similar exhibition was put together by students from the National University of Singapore (NUS) Faculty of Industrial Design at the National Design Centre. This exhibition titled Death by Design sought to take on the still-taboo subject and investigates it from a designer’s point of view – how semantics, practicality and emotions come into play when treading through designs related to the rituals of death. A key participant of this exhibition was Mr Raymond Hon whose piece was previously shortlisted for final consideration in the Design for Death competition.